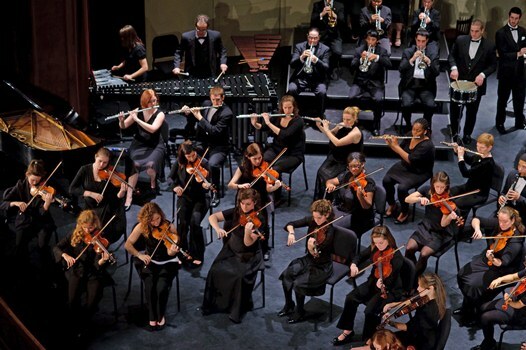 The LC Orchestra/Wind Symphony Winter Concert, under the direction of Dr. Oeida M. Hatcher, dean, School of Communication and the Arts, will perform on Dec. 6 and 7 at 7:30 p.m. in Sydnor Performance Hall. The program will feature guest performances by LC Dance Works and the LC Concert Choir. The concert will also feature “Rhapsody in Blue” by Gershwin with guest soloist Noemi Lee, adjunct faculty in music. The program will include holiday favorites, “A Dickens Christmas,” a musical narration featuring Dr. Cynthia B. Ramsey, associate professor of music; “Rocky Point Holiday;” and more.